Hyundai shows its concept car scheduled to be launched in 2020. 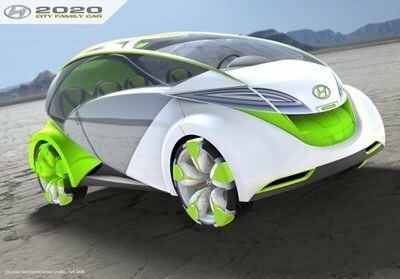 Hyundai and Nicolas Stone coming up with a new car concept and people will start again call it a family car. 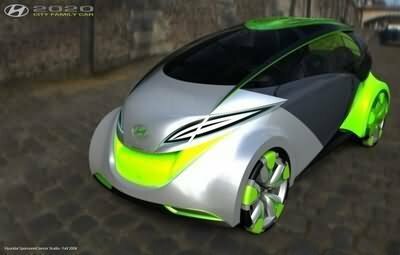 This car will not need any kind of fuel to generate the energy. Only water and sun will be enough to run this just like plant need. Exterior of this will have solar plate which will get the energy from sun. 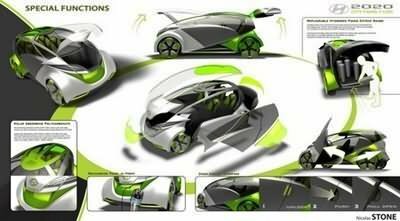 This concept car is equipped with transparent solar cells to generate electricity from ambient light, which is afterwords used to carry out electrolysis of water finally generating hydrogen, which fuels the car. The only by-product of the car engine will be clean potable water and breathable oxygen. Utilizing a new energy model, the vehicle uses the electricity to stimulate a central water tank, splitting the water into hydrogen and oxygen. The hydrogen gets stored in special reserve tanks, while the oxygen gets expelled into the air as exhaust. So, no emissions, since this cute little car functions exactly like a plant, being powered by an artificial system of photosynthesis.